A Double Fronted Ground Floor Shop Unit prominently located within the popular market townof Leyburn. Shop 4.57m x 3.16m (15 x 104), Shop 4.57m x 2.46m (15 x 81), Kitchen 3.76m x 3.16m (124 x 104), Store 4.81m x 2.21m (159 x 73), Outside WC. A Double Fronted Ground Floor Shop Unit prominently located within the popular market town of Leyburn. Shop 4.57m x 3.16m (15 x 104), Shop 4.57m x 2.46m (15 x 81), Kitchen 3.76m x 3.16m (124 x 104), Store 4.81m x 2.21m (159 x 73), Outside WC. 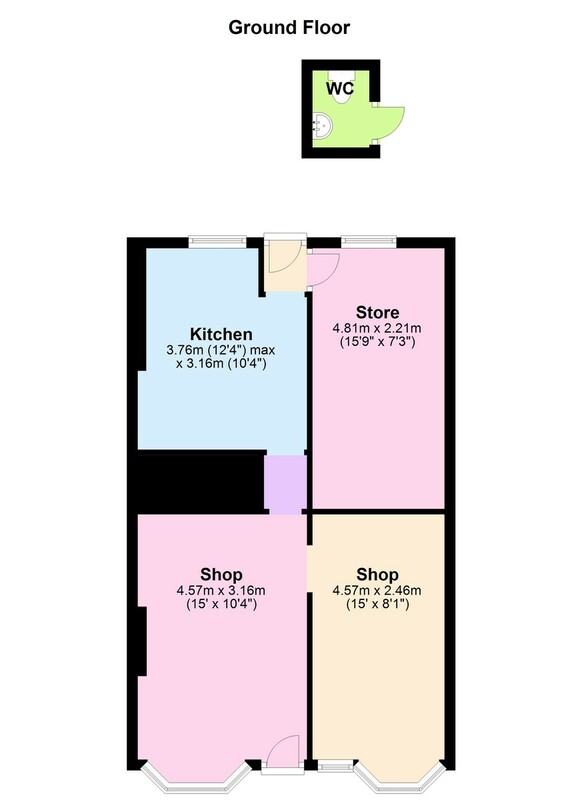 Shop 4.57m x 3.16m (15 x 104), Shop 4.57m x 2.46m (15 x 81), Kitchen 3.76m x 3.16m (124 x 104), Store 4.81m x 2.21m (159 x 73), Outside WC.